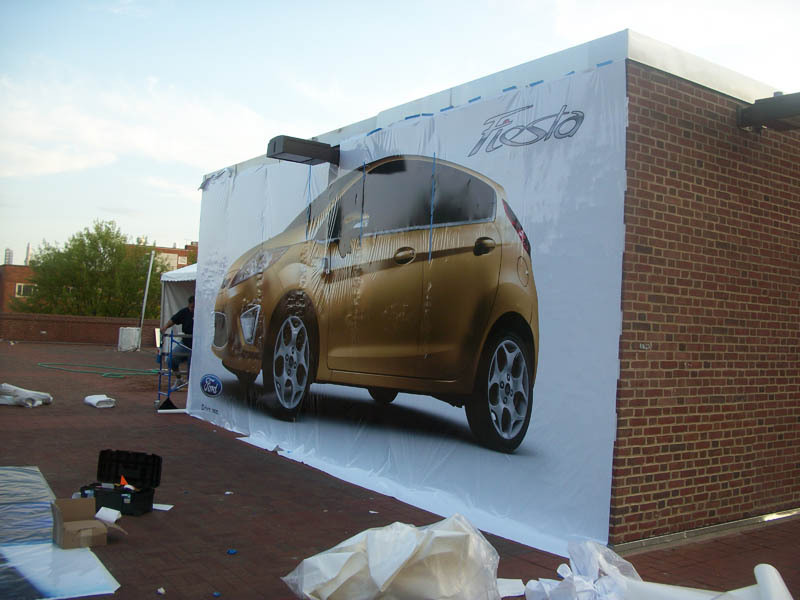 When Wrap City Vinyl and DigiMo360 Team up it is always remarkable how we get things accomplished. 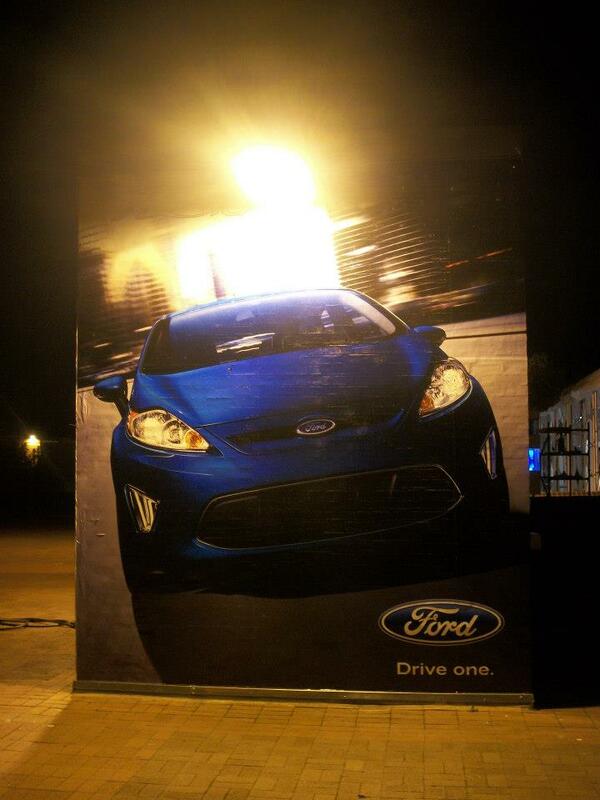 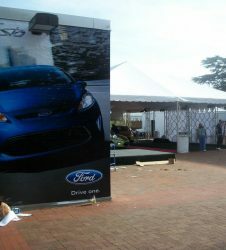 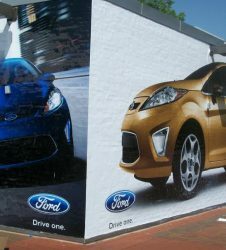 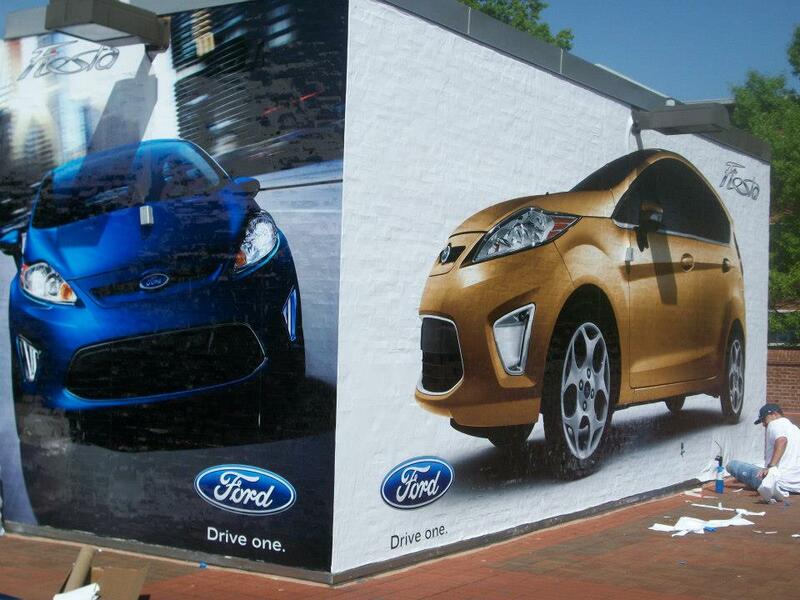 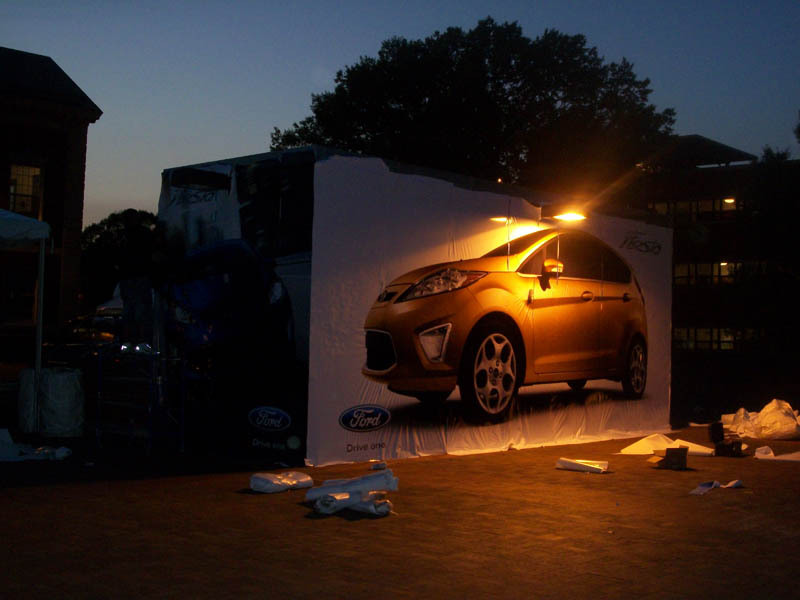 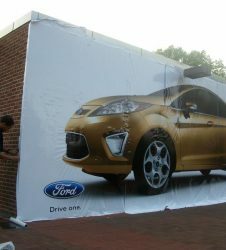 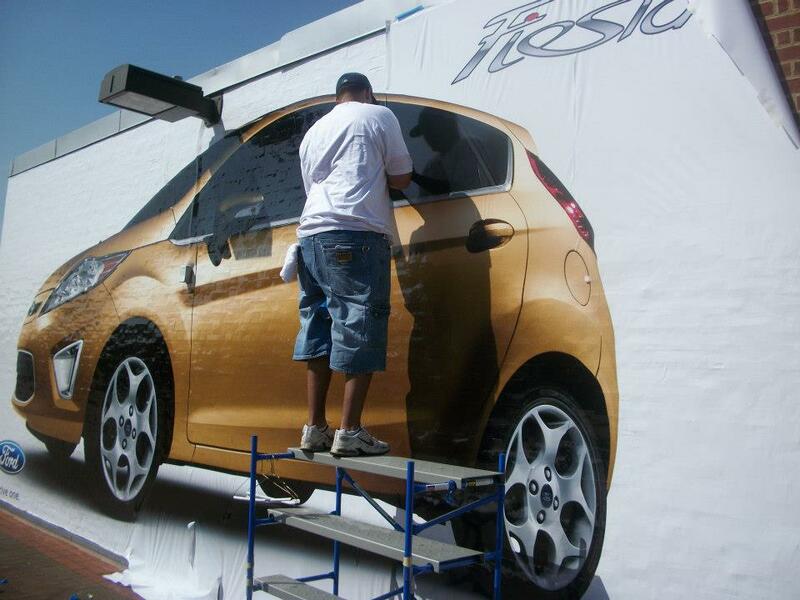 Ford wanted to showcase their new Fiesta car to urban college students. 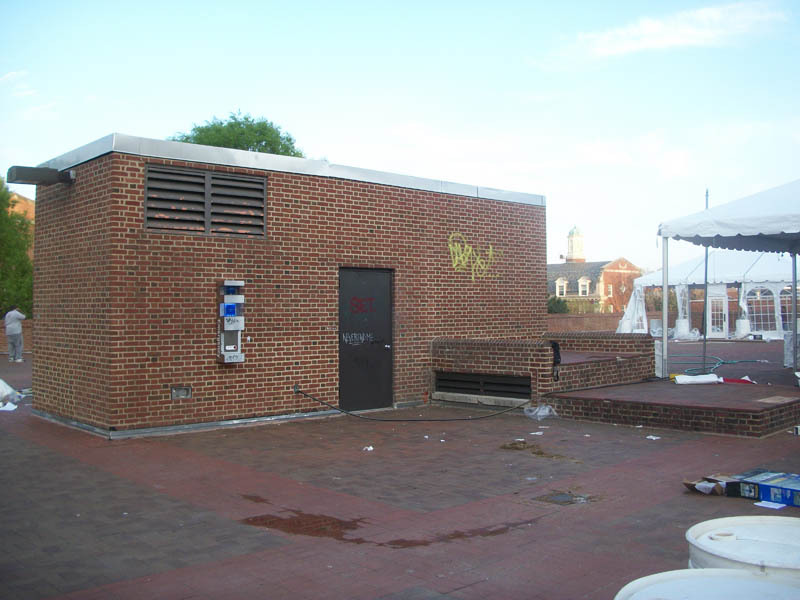 Howard University would be the perfect back drop for this event. 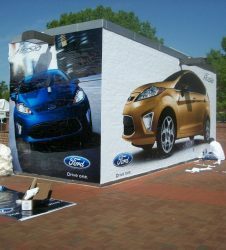 As you can see from the before images. 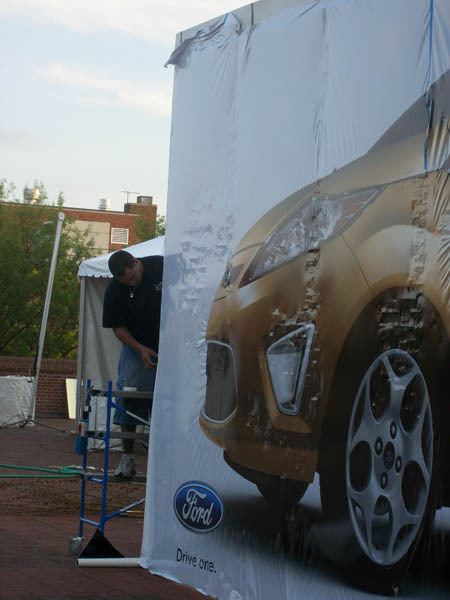 The roof top where the event was to take place had two buildings that were becoming eye sores as the rest of the decorations were blend set up. 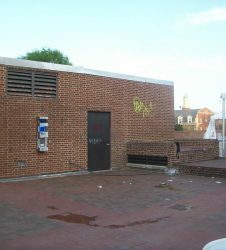 They obviously could not leave them like that, so they called us. The first solution was to just use simple vinyl banners. 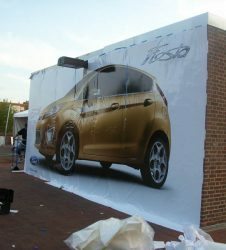 This would allow us to drape a covering over the front and sides of the building. 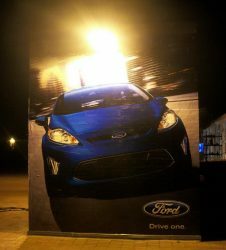 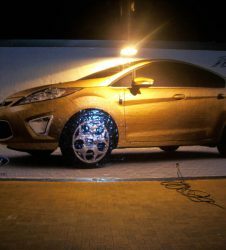 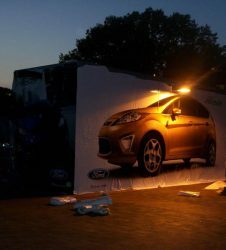 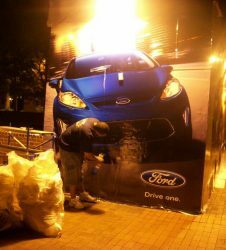 Though this method would work, we though it also looked temporary and was not done in the excellence that the Ford brand deserves. 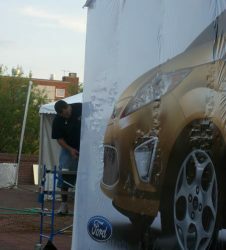 We ran a few tests and figured out that the vehicle film will stick to brick if done correctly. 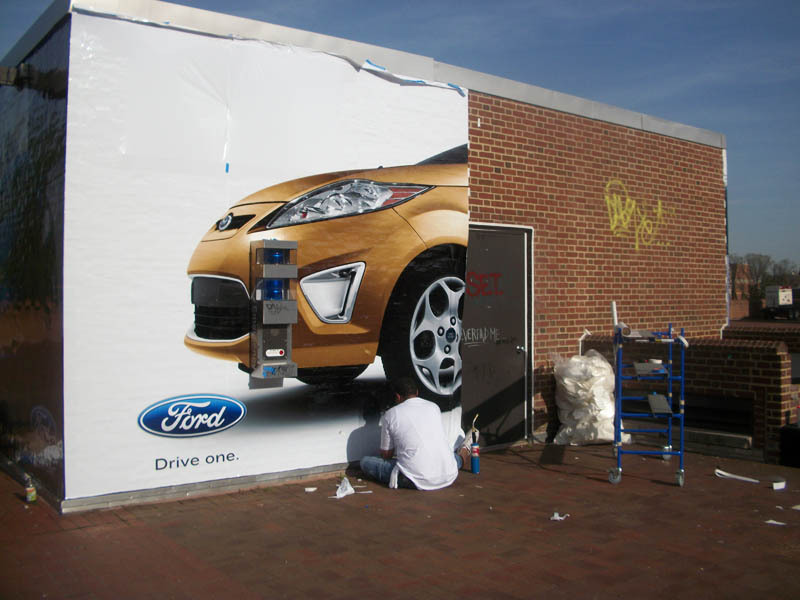 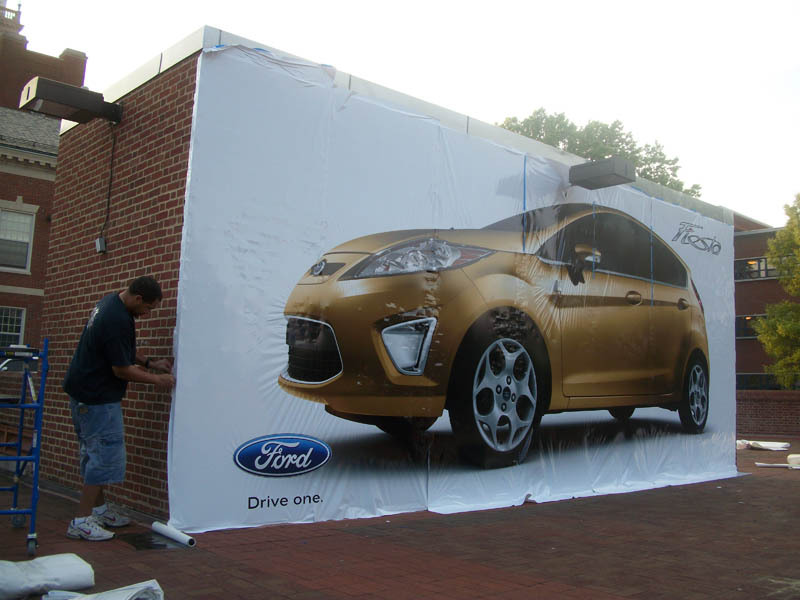 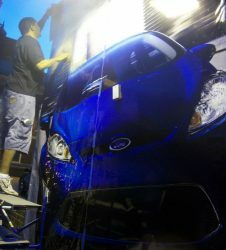 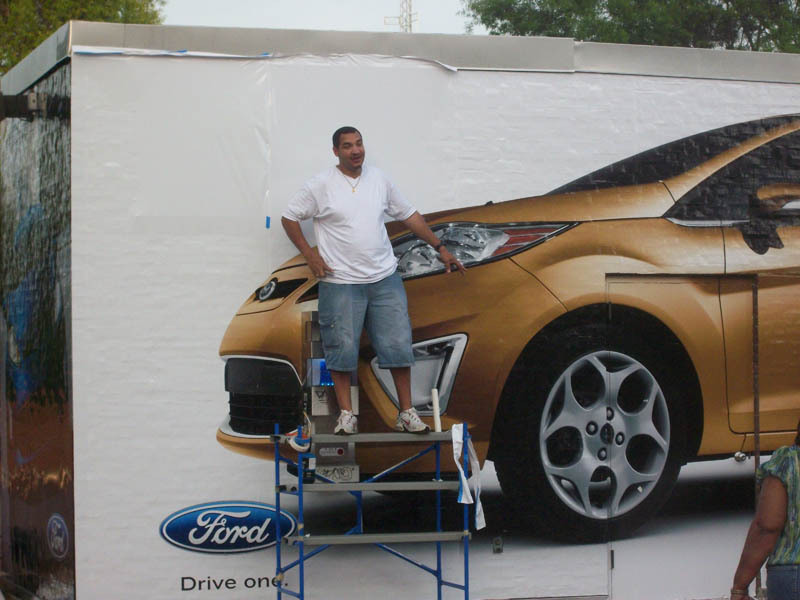 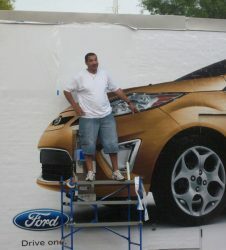 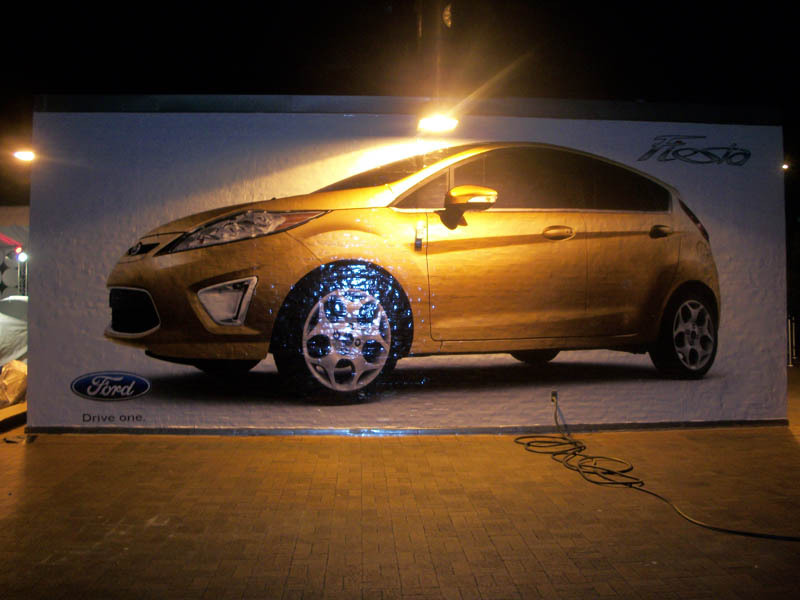 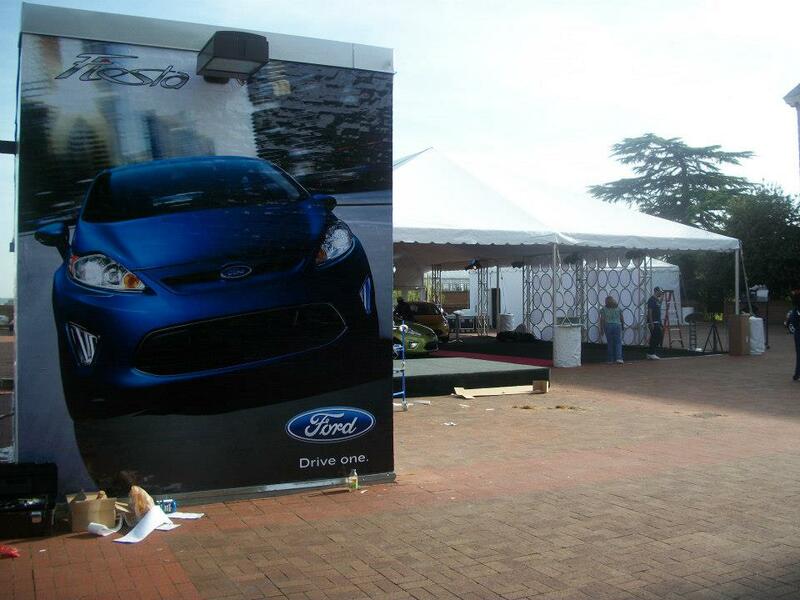 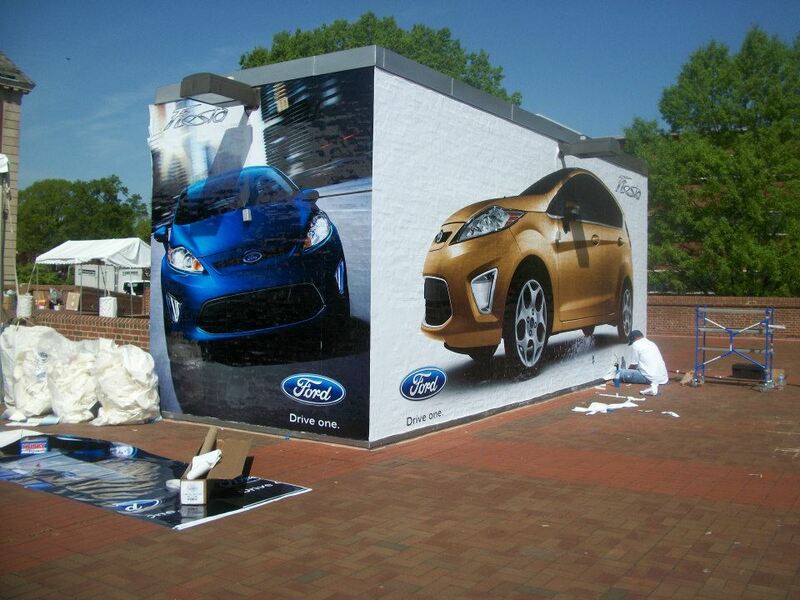 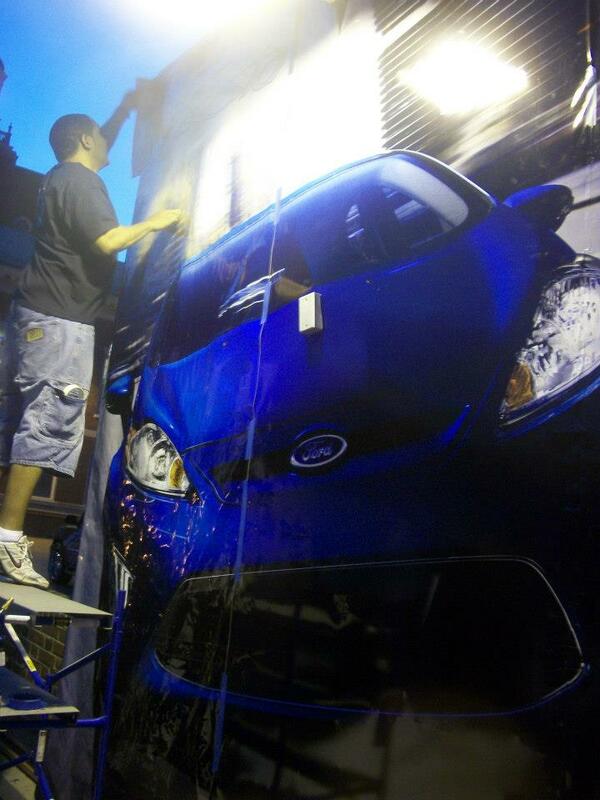 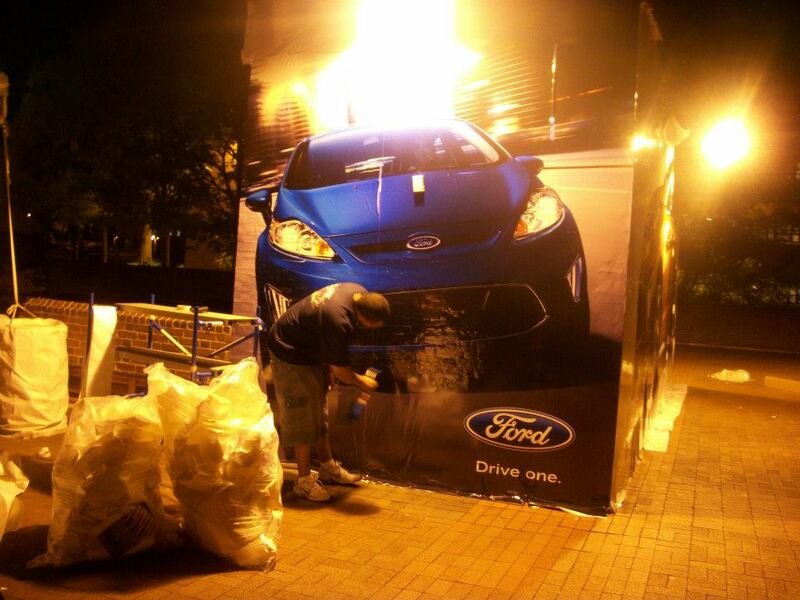 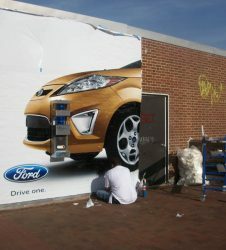 Once approved we printed the graphics and traveled from Atlanta, GA to Washington D.C. to install the wrap. 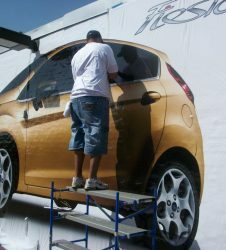 Below you can see the process and finished wrap product.